Jason! This is an incredible idea… has it been difficult to get into action? When does the very first round start? Which gyms are involved? Hey Adam, it’s been an exciting few weeks since our opening day. We decided to run our own ninja competition as there was a great amount of interest. Inov8 Australia attended the open day and saw the crowd of people… People that gathered of only 1 week of preparing for our Run Jump Crawl Ninja competition! Straight away we shared some ideas and came up with an action plan to start a state league with Inov8 Australia becoming the major sponsor. Our first NSW League competition is this Saturday 2nd September up at Obstacle Course Racing School. We have 4 competition days planned this year; one for each month, with a points system. Each round participants will have the chance to win cash and prizes put forward by our sponsors. The remainder of this year is a trial period with the idea to expand in 2018. OCR School and Run Jump Crawl will alternate locations for this short trial competition season. The final will be at Run Jump Crawl on either the 2nd or 9th of December. The competition leaders will win a grand prize put up by all our sponsors. I have been in discussion with other Ninja venues in the other Australian States. We are all working on aligning our own rules to create a standard across the country. I am also looking to work with the other states to have a national final towards the end of next year or 2019. I’ve spent a bit of time in the States and these comps are absolutely massive… there is actually a huge number of competitors that have no interest in ever being on television, but train all year round for these competitions – do you expect to get many non-ninjas competing? Our hope is to get as many people involved in the sport as we can. We want to reach the younger crowd and encourage them to join in and show them fitness isn’t about rocking up to a gym and doing the same exercises day in day out, and there is other fun enjoyable ways to keep active. We also encourage older adults to come and have a go. With a wider interest from different people we may then be able to expand the league offerings and provide different categories. In our first competition we had a number of beginners and also competitors from the TV series attend. The competitors are great for the sport they always offer their time to give tips and show everyone the most efficient and easiest ways across the obstacles. 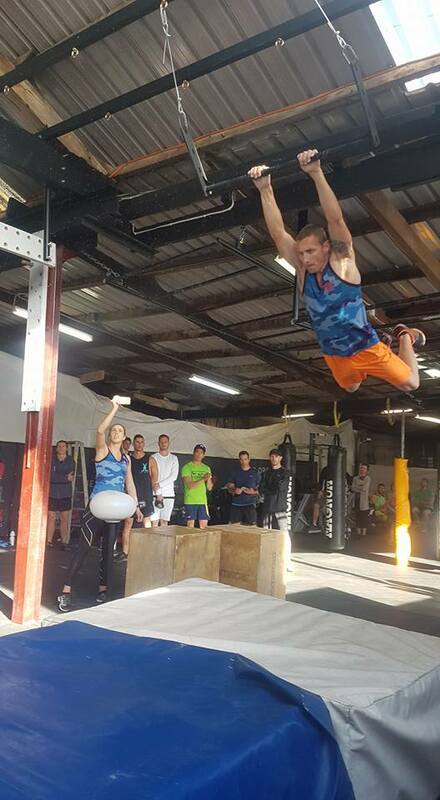 That said though, there is literally no better preparation for Australian Ninja Warrior than competing at different competitions in different gyms. Even gyms that you might be quite comfortable in can totally throw you a curve ball during a competition… will you be competing yourself? I haven’t applied for Ninja Warrior or committed to competing in the NSW league this trial period. For 2 reason;. I want to put my efforts into getting the league up and running to a good standard and my event calendar is full this year with my commitment to attend World’s Toughest Mudder 24hr obstacle event in November and also Bright Spartan Trifecta weekend. But I have secretly been getting as many tips as I can from our 2 sponsored athletes Patrick Teylan and Scott Campbell. Both of who are excellent at flying through the ninja courses. Will there be any prizes for super successful mega ninjas? You know this could get massive right? Do you have any plans to expand it nationwide? I have spoken with The Compound Training, Geelong Boxing and Obstacle Training, Perth Ninja Academy, and Basecamp South Australia. just sharing the idea at the moment, sharing ideas to try get a standard rule set and the logistics to be agreed upon. I honestly cannot wait to see the ranking table change over the quarter… thank you so much for sharing this unbelievably exciting league with us, do you have a Facebook page where people can find out more information? Yes, I have created a NSW Ninja League Facebook page where we will be updating rules and competition days. We will also answer any questions on there. Oh absolutely! The Ninja Academy has definitely been leading the charge with Ninja Comps…. 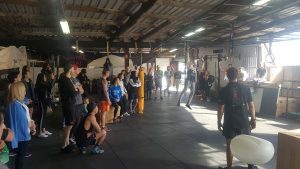 in fact, I don’t know of a single other Ninja Gym anywhere in Australia or the US that has anything as epic as the NCL. 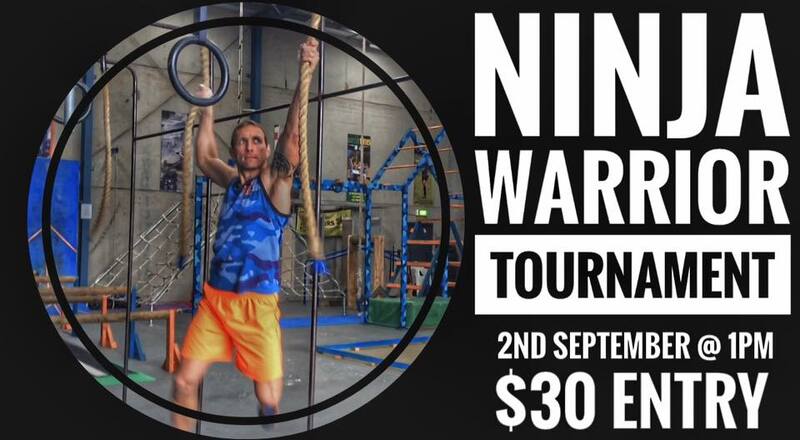 The NSW Ninja League is a multi-venue persistent league which gives Ninjas on the East Coast a chance to experience the thrilling competition that our West Coast buddies have been enjoying for years. We are close to opening our Ninja 101 located in Wetherill Park Sydney. Would love to have a chat to you.